Eric Migicovsky knows the Pebble community inside out. He knows that in the UK there's a huge overlap between Doctor Who fans and Pebble wearers. He knows that in Mexico City, there's a developer who has been knocking up one new Pebble watch face every two to three days for the past three months. He knows that 10,000 diabetic people are using a hack called Nightscout to link their Pebble watch to a blood glucose monitor. And he knows that while big companies don't seem to trust their users, he is totally comfortable with the idea. When Wareable catches up with Pebble's founder and CEO at Web Summit 2015 in Dublin, he is about to announce on stage that, since the Apple Watch was announced a year ago, the number of Pebble watches on wrists worldwide has doubled. What that also means is more and more people aware of wearables and involved in the Pebble community. This is already over one million strong with 30,000 developers having created watch faces and apps for the indie platform. But in a smartwatch world where Apple is predicted by analysts to have already sold seven million Watches in total - more than all of its rivals combined - Pebble still has its work cut out to stay in the game. Not only does Migicovsky think that a large number of the 1.2 billion watches sold globally each year will eventually be smart, he also believes that Pebble won't get left behind in the fight for our wrists. Here's why. "I don't think enough big companies trust their users in such a way that you would just open a smartwatch up and let them build on it," he told Wareable. "We're more than comfortable doing that because that's how we started. We're cautiously optimistic about SmartStraps and opening up the hardware. "One of the things that we are indebted to is the developer community that has been attracted to Pebble. We do whatever we can to make it easy and to make it worthwhile. We just hosted a developer retreat a few weeks ago where we flew the top developers in the world into San Francisco for a week. We had a lot of feedback. We actually had a wall where everyone could just post bugs, demands and questions on sticky notes. It was great and we gave them all Pebble Time Round devices." 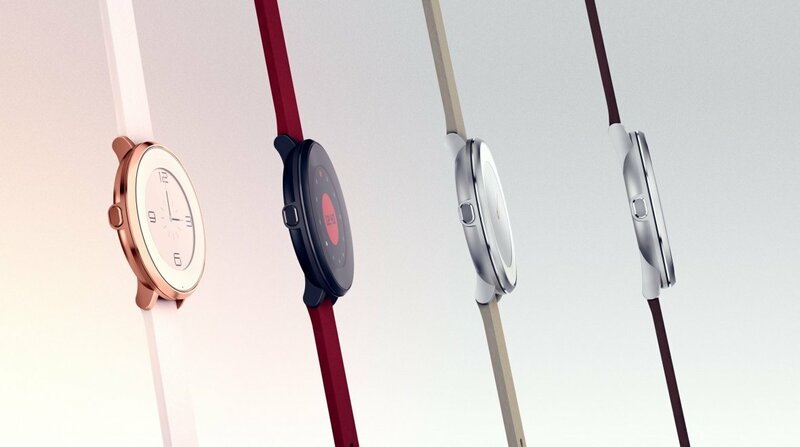 "Pebble Time Round has a different look and a different feel to many of the other watches in the market," Migicovsky said. "We built it specifically for people who have smaller wrists or who want to see something slightly different on their wrist. Up until now, all of our watches looked very similar. If your eye is attracted to this watch, you're going to love it. And if not, it's not for everybody. We're OK with that." And we're not just talking about Doctor Who. "We've built up quite a bit of data on our users for over two and a half years. So watch faces are incredibly engaging for a lot of our users. We've got stats that show a quarter of all users browse the app store once a week for watch faces which is more than we expected. It's indicative of this being a pretty damn good watch first. And over Halloween there was just a rash of crazy, fun watch faces that popped up on the app store." "One of the things we see growing a lot on the SmartStraps side is sensors, adding capabilities that not every person might want," he told us. "It's hard to build something for everybody when you have such a small amount of space." And any advice for Blocks Wearables, AKA 'the new Pebble' and makers of the modular smartwatch currently on Kickstarter? "They should make a SmartStrap version of it so they can add their modules to the Pebble. That would be pretty smart." "You will start to see things pop up like networks and services that just couldn't have existed on your phone," explained Migicovsky. "Because your phone is not something that is physically on your body. "And in the early days it looks a bit like apps but what we're seeing it morph into is really things that happen automatically, based on the context that you're in. Things that are just one click actions like call me an Uber or change the temperature or buy me something. It's not going to complex interactions. that take 20 or 30 seconds. "Over the next few months, you'll see us working on the problem of enabling developers to create simple, interactions on a wearable. We will roll that out early next year." This is what it really boils down to. The Apple Watch launched and Pebble is still selling smartwatches. Whether it's because there's space for the Swatch-style Pebble and the Tag/Rolex-style Apple Watch as Migicovsky suggests or not, it doesn't matter. "You're sitting in a meeting with investors and you are asked - what if Apple makes a watch? What if Apple gets into this space? I faced this question for the first six years of this startup," he said. "And I answered it with all sorts of mumbo jumbo, you say all sorts of things to raise money. But I'm living, breathing proof that it's possible. The rumours of Pebble's demise are massively overstated. "Things like Nightscout and Smartstraps are incredibly exciting for me and the team at Pebble. Maybe it comes from the fact that we read a lot of sci-fi but we're optimistic. We think that computers are getting smaller and cheaper, battery technology is getting better. We think it is inevitable that we will be wearing technology on our bodies in the future. "We're generally optimistic dudes, we're thinking about the future. We're in this for the long haul."